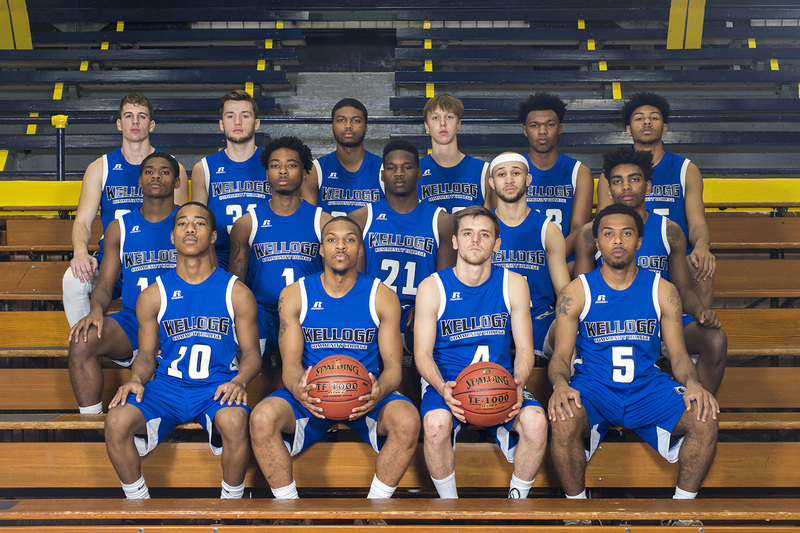 Kellogg Community College’s men’s basketball team lost its latest away game 99-68 Wednesday against conference opponent Mid-Michigan Community College. Leading the Bruins on the court were Justin Knight (Oak Park/Oak Park High School), who had 26 points and 2 rebounds; Khylen Watkins (Battle Creek/Harper Creek), who had 11 points, 3 rebounds and 5 assists; and Daelyn Davis (Belleville/Renaissance High School), who had 13 points, 6 rebounds, 2 assists and 2 steals. KCC’s Head Men’s Basketball Coach Ben Reed said the Bruins’ lack of energy and effort got them behind and they couldn’t recover. The Bruins’ next home game starts at 3 p.m. Saturday, Jan. 20, against conference opponent Jackson College at the Battle Creek Central Fieldhouse, 162 Champion St., Battle Creek. For more information about KCC’s men’s basketball team, including a full team roster, schedule and links to official team and player photos available for download by fans and the press, visit www.kellogg.edu/mens-basketball.